Stu: This week welcome to the show Caique Ponzoni. He is the CEO and Founder of Naked Foods Bulk with 8 stores, farmers markets and online retail proving a successful concept. Caique is a passionate entrepreneur with experience in retail, marketing , graphic design and sustainability. Caique believes now is the time to expand and offer the world a new way of shopping and a greater experience as the awareness for environmental sustainability, waste reduction and ethical food trading rises. How did you bring your idea to life? Can you explain the term ‘precycling’. What food trends are you experiencing throughout your stores? Hey, this is Stu from 180 Nutrition and welcome to another episode of the Health Sessions. 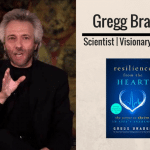 It’s here that we connect with the world’s best experts in health, wellness, and human performance in an attempt to cut through the confusion around what it actually takes to achieve longer lasting health. [00:00:30] Before we get into the show today, you might not know that we make products too. That’s right. We’re into whole food nutrition and have a range of super foods and natural supplements to help support your day. If you’re curious, jump over to 180Nutrition. com.au and take a look. Okay, back to the show. This week I’m excited to welcome Caique Ponzoni. 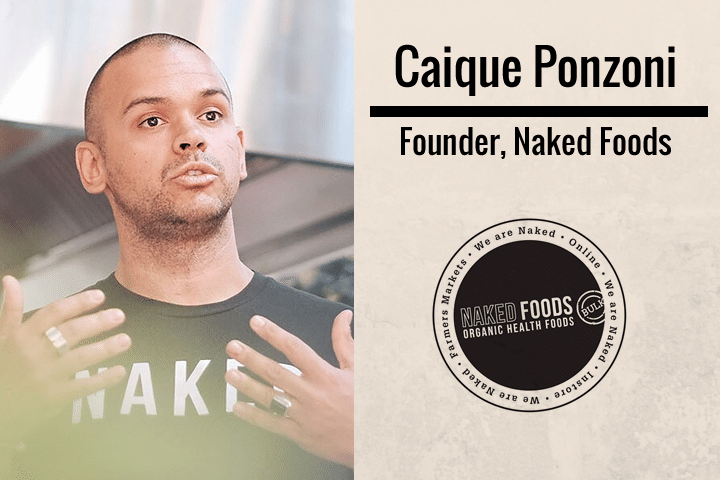 Caique is the founder and director of Naked Foods. A chain of bulk whole foods stores that live and breathe the mantra that food should be consumed as close to its natural form as possible. So I set down for a coffee with Caique last year and was so intrigued by his story that I just had to share it with you. [00:01:00] It’s a tale of dreams, failures, persistence, and determination. When most of us would have thrown in the towel and walked away. So without further ado, let’s get into the show. Hey guys, this is Stu from 180 Nutrition and I’m delighted today to welcome Caique Ponzoni to the show. Good morning Caique. Good morning. Good morning everyone. [00:01:30] Welcome to the show mate. First up, for all those that may not be familiar with you; who you are, what you do, I’d love for you just to tell us a little bit about your journey for a couple of seconds and then we’ll get into the good stuff as well. My name’s Caique Ponzoni, like you said. I’m based [inaudible 00:01:39] of Naked Foods. Been operating Naked Foods with my wife for about 8 years to be where we are today. Stu [00:02:00] Brilliant, brilliant, fantastic. Well we’re gonna learn a lot about your journey today. 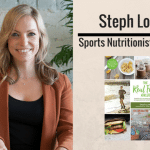 I was particularly interested in this podcast because we had the opportunity of sitting down for a coffee late last year, and you told me the story about the conception all the way through to the growth of Naked Foods, which is an amazing brand, just a fantastic concept. It was a rough ride, but your persistence was what just pulled me into the story. I wonder if you could re-tell that for our audience, please. [00:03:00] Yeah, definitely. Well I’ll start right at the beginning, right? So 10 years ago I first moved to Australia and that was a big move, you know what I mean? I had no English at best, and no business experience as well. Didn’t know anyone about Australia. I used to love surfing and Australia was the place to be, right? Watching the surf magazines, watching the videos. And I was like “I need to go to Australia and learn English and surf”. And that’s when I made the decision to actually come to Australia mainly for surfing and to learn the language really back at that time. And how easy was that for you to come over and what did you have to do in order to start that journey? Got it, okay. So you packed up everything, moved over to Australia, what do you do? How do you get started? Moved over to Australia and basically never surfed. Why not? Why, what happened? [00:04:30] [00:05:00] I think it all was, back in the time when I arrived I was very focused on learning the language. Because when I arrived in Australia I was very different. In a point where a lot of cultures they tend to get attached together, they wanna stick together you know? And I as in complete opposite path. I wanna basically just put my head down, learn the language, and really embrace the culture. And I wanna live here. I wanna understand how people live, I wanna understand how the culture works. And I wasn’t interested in getting together with Brazilians and everything else or stick to the Brazilian culture. For me it was more about embrace the Australian culture. Not long, 6 months ensured to basically figure out that I wanna live here. I wanna raise my kids here and try to see have my future here. Brilliant, brilliant. So you didn’t dive straight into Naked Foods at all, did you? So you had enough venture before that which was interesting. [00:06:30] Yeah so within 6 to 8 months that I was in Australia … So I made my wife, and basically her family has been in business all their lives. And at that stage I got really interested to find out what they’re doing and how success could be in Australia run your own business. I used to love coffees. Enjoying my coffee and showing up today. We had the opportunity to buy a café during that period. So I had a little bit of money saved and then my wife’s family just said “we’ll help you somehow. We’ll get you started somewhere”. I was really excited to have such an opportunity and to be [inaudible 00:06:13] doesn’t always look like the way you expected. Going to a café. There was I think a chat that we had the day we’re having coffee and everyone has this dream of having a café. Majority of people having a café, sit down, have your coffee, and enjoy a cup of coffee and just watch the day go by, right? Yeah, that’s right. Quite idyllic. But it’s probably not the case if you’re running one. [00:07:00] Not at all. Since that time I was very healthy [inaudible 00:06:43] so I always enjoy health foods. I was always training and everything else. I was like “okay, so let’s start looking for a café”. So we started looking for a Café and then got to the point where my father-in-law said “there is a café available. It is for 1 of my friends. You guys wanna come and have a look?”. So by the time we got there I didn’t understand much of the area, no was my wife. So we got over there like, okay, this looks okay. It’s nice and presentable. He’s like no worries then, I bought it already. I’m like “what do you [inaudible 00:07:22] bought it?”. It doesn’t work that way. [00:08:00] But anyways, we were very immature that stage. We were just newly married, basically. Like, okay, let’s jump into it. But without business experience, without knowledge. And with different values aligned as well. No business moved forward. The café was located in the west of Sydney, so it is a demographic. People don’t tend to eat a lot of health foods, from our perspective. That was about 6 to 7 years ago. Organic foods was a very niche market. Acai bowls was a very niche market. When today it’s booming, you know? [00:08:30] Did you ever picture in your mind then of the café that you wanted to run? I’m guessing if you came over to Australia and you had a love of surfing and the outdoor life, were you picturing something sort of along Bondi Beach where the surfers roll up and have an acai bowl and an organic latte? [00:09:30] Certainly. That’s exactly where I wanna be. But the reality was we had no money for that. We had no money to buy dream at that stage. But that was good because we could have bought our dream at the stage and ended up in a much bigger loss, right? So I think, I’ll just speak through the café, so we’re trying to put our offer there, then. We had no market from where it was. After 2 years of minimal life working, endless hours. I ended up having to get another job because we’re making no money at that stage. So we still own the café, my wife was basically pregnant at that stage with our first kid. And I just had to go and get a job. I had to go and get a job making coffees in another café at night. Oh no. The irony of it all. That’s correct. So we still have the café and I’m working at night making coffee somewhere else to be able to cover the debt that I had for the café, and be able to sustain our family. And at the same time I started work at a farmer’s market on the weekend as well. Crikey. How is that affecting your family? Sound’s like you guys were pushed to the limit with the café that wasn’t returning, then you’re having to work all hours outside of that at another café just to try and get some cash on the table. How was life at home? [00:10:30] [00:11:00] I think at that stage is very different because we didn’t have my kid or my kids today. So we were both 100% into it. So while I was at the farmer’s market on the weekend, Georgina, my wife should be working at the café. So basically had no life at home because our life was at work. So we’d be working. And when we get home and wouldn’t do anything. We would just lie down and sleep. We were both at work, and that’s where it got the point where we work so much and then one day, Georgina just walked in and said “that’s it. It’s enough”. Just walked in and closed the doors and said ” we’re not doing this anymore”. That we’ll pay everyone, and this is over. And that day I was shocked. I said “no we can’t do this”. She’s like “no if you don’t do this you’re gonna kill yourself”. Did that leave you with any debt? Or was that reasonably clean cut? No not at all, not at all. So that left us with more than a hundred thousand in debt. Stu Oh my word. Wow. Yeah. That left us with a big debt. And that’s what I say. That was a very expensive school. Because we learned in a lot of debt. We made some very good connections out of that, but that was a very expensive school. You certainly, expensive lessons, but I guess really valuable lessons at the same time. [00:12:00] Oh, definitely. If it wasn’t for me to own a café today, it would be a completely different scenario. Where you have this structure and you actually have the knowledge to be able to apply to the business and start in a complete different path. And I completely understand that. So the business is now closed, the café is closed, what are you doing? So where to from here? [00:13:30] So cafe’s closed, I was happy. Very very happy, because life’s still there. I think the moment in all, Georgina made the shift to close the café … I think for that day I probably freaked out for a little bit, but after the time I went “you know what? This is great. I actually can do something with my life now”. So cafe’s closed, and I’m still working at the farmer’s markets on the weekend. During that transition I was working at farmers markets as well on the weekend and we saw an opportunity to start importing some Havaianas from Brazil. So we’re already broke. WE had some friends in Brazil they wanna sell some Havaianas, designed with some crystals in Australia. Why not? Why not? So we had the opportunity. So we took the means. So first we took about 500 Havaianas, right? Happy times. Friends wanted them, I mean everyone wanted. They go, new business. Launched a website called designer Havais. [00:14:00] Just for all of our listeners maybe outside of Australia that don’t know what havaianas are, they are essentially flip flops. So you put them on your feet, you wander around the beach, or wherever you might be. So what happened with that? Where did you go with those? We thought we were gonna become the biggest Havaiana designer, Havaianas brand in Australia. So now we’re knocking retailers, started to stock in a couple retailers. We’re like “this is great, that’s our business”. And I still work in a farmer’s markets on the weekends as well. So then our first batch was, we did 500 Havaianas, sold that within 1 week. Like wow. This is great. Now we’re making serious money. So after not long we went and bought 1000 Havaianas. Fantastic. Again, everyone wanted and everything else. And then it went for the next batch and then we got 2000 Havaianas. And we didn’t sell one single one. I don’t know. It just didn’t sell. They started using cheaper labor over in South America to be able to make more money. So they were undercutting us and undercutting themselves as well. But during that period we were doing crazy stuff, so we were doing farmer’s markets and we were be in the queue at the farmer’s market from 11 o’clock, night before, to get able to get into the markets. And stay in line all night. Sleeping on the line and everything to be able to get into the farmer’s market. And after that staying there for the whole day to sell 2 Havaianas. We still have some havaianas under my house now, I’ll send you some. Great, I’m a size 10 thank you very much. [00:17:00] We still have them. We closed the café, started designer havais, so basically doing the farmer’s market on the weekend, closed designer havais completely as well. During that period I was working at farmer’s market, I was work with food as well. So basically I was selling spices, through a third party store. So do that and work for this guy. And at the time I started realizing “you know what? There is this potential in the farmer’s market”. People coming here, people are very interested to buy good food. They wanna know about the food and they do have passion as well for the food. Farmer’s markets are a fantastic start for anyone that is looking to do it. Because you can test your product, customers are actually making their way to the farmer’s markets, so they actually put effort to go there, so they will shop. And you’re testing the product. So basically I was working for this guy selling herbs and spices. [inaudible 00:17:18] and his business was doing well. And got to the point where I was working for him 4 times a week and I was running the business for him. He wouldn’t even come to the business anymore. So you’re running the show. And that was mainly spices for him? Yes. There was pretty much 95% spices. And then we have 5% of roasted nuts. Right, okay. And at that time I guess you’re chipping away at the loan. Or I guess the debt that you had from the previous café as well? [00:18:00] The debt’s still there and we’re trying to pay with whatever income we make from the market, but when you have such a small income a hundred thousand dollars is a massive debt. And to be able to support yourself and be able to actually pay that back, that’s not a very easy [inaudible 00:18:12] do. [00:18:30] Still work at the farmer’s market for this guy, and trying to pay whatever debt we have. During that time work for him I got approached by him after 7 months and he offered the business. He said “listen, you do this extremely well, do you want … I’m not very keen, I’m getting old, that’s not something I want to do for the rest of my life. Do you want to buy the business off me?”. I said, I don’t know how? I have no money left. So I’m a hundred thousand dollars behind already and this guy wants me to buy his business for another 55 thousand. I took the risk to call my family back in Brazil, and said ” listen that’s actually what we’re having here”. And I don’t have good credit to be able to borrow any money at the moment, cause that’s my current situation. Family said “we’ll see what we can do, we’ll try to put some money together and if you think it is a good business, we’ll trust you”. So after about 3 weeks they come back and say “listen, we’ve got the money, what do you think?”. For us that’s where the change basically started and all. I could see how much revenue, how much profit the business was generating through farmer’s markets and the guy was working 2, 3 days a week, right? So the moment I started seeing I was like “oh my gosh I’m working for this guy who’s paying me $150 a day to be here, he’s actually making more money than I used to make when I had a café work 7 days a week”. [00:20:30] Yes, right. That’s interesting, and I think it’s how you look at that as well. Because I would imagine many people would look at that as “right, so I’ve got a hundred thousand dollars debt, so I’ve gotta pay that, and now I’m potentially gonna be another 55 thousand dollars down, but that’s from my family, so I really really don’t wanna screw that up. They’ve put their trust and faith in me, so I have to make this work. Plus, I don’t really know how to run a business”. 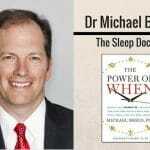 How did you sleep at that time? [00:21:30] I didn’t to be honest. I didn’t for a couple reasons. One that I was extremely worried that my family, in Brazil and how they could support me and trust me 100% and be able to actually pay the money back to them. At that stage, even being able to support myself and pay that money back was something that was really hard. And as we all know, when we involve money and family, always end that up in the best scenario. I’m very grateful that we managed to … We bought the business off the guy and we think 6 months from that day, we got approached by the farmer’s market we were at the stage, and basically said “listen, you know, there is a demand for people be sending us emails and asking for nuts, dry fruits, would you guys be interested to introduce the range?”. I said okay. The sky look brighter. We had a better scenario within 6 months. We started paying our families back. So we started paying our café debt back. It wasn’t a huge amount, but we’re moving forward, we’re making progress. [00:22:00] That’s what kept me excited and kept me going. Because I was always envision a way that I need to make this happen. He’s telling me “I had the feeling. This will happen somehow. It needs to happened”. At the time, were you taking any advice from a mentor or a business advisor or anybody with more experience than you had done it before? [00:23:00] No, not at all. Complete opposite. When you’re in this kind of situation where you owe a lot of money, you have debt, you work like crazy. People doubt you a lot. A lot of people doubt you. And I had family members they say to me “you work this much and you’re not paying your debt, where are you heading with this? You’re heading no where. I can’t believe you’re putting your family through this”. It doesn’t make it any easier. And I can guarantee you there’s very very few people out there I would say they sort of picked me up and said “come on, keep pushing”. And one of them would be my wife. Pretty much we were the only who never up to date [inaudible 00:23:13] that we were going the right way. [00:23:30] Just belief. Wow, that’s brilliant. So what happened from there then? The farmer’s market was really taking off. Where do you take it from there? [00:24:30] So from there, the farmer’s market’s doing really well, we’re feeling really excited and start making progress, paying our debt. We introduce nuts and dry fruit, and that’s when we decide to make the shift. We’re like , the nuts and dry fruit are doing extremely well. Me and Georgina we’re always passionate about sustainability, we’re always eating organic, that was our passion. That was how my family lived in Brazil. Majority of my life. We’re always buying stuff in bulk. We’re always buying product directly from the farm. More and more that we learn how they [inaudible 00:24:11] doing the right thing. They were doing the right thing by the people they were buying from, and they were doing the right thing by the customers as well. Providing the spices we were buying from the gentleman at that state wasn’t actually what we believed to me. It wasn’t a clean product. That’s when we started question “okay, so now we’re selling organic produce with these spices which they aren’t organic, is this our scenario? Is this really what we want for our brand?”. Interesting. So what lead you then from the farmer’s market into the creation of your first store? [00:25:30] At that moment we decided to shift in completely stop selling the spices. The guys that we were buying these spices from, we said “we bought the business off you, thank you very much, that’s great. However the spices does not meet our values. Does not. That’s not what we want”. So he said “okay what do you want?”. I said “I’m creating my own brand, and we’re not selling these spices any more”. So he said “okay, that’s fine by me, that’s no problems at all”. At that stage I created Naked Foods. That was back in November 2011. November 2011, we started business at the same time. So that was when. 180 Nutrition officially as an incorporated company, November 2011. It takes 10 years for it to become overnight success right? It does. That’s right. I like that saying. You decided then, Naked Foods … You’ve got your own brand, and you’ve now got to think about a store and all of the logistics that go with that, so how does that work? [00:26:30] At that stage actually I wasn’t even thinking about stores because we were one farmers market we were doing extremely well, an then we went from one farmer’s market to 8 farmer’s markets a week. So we started spanning across full Sydney. So basically start spanning around Sydney, I’m still paying my debt from the café, still paying my family. We decide to open more farmer’s market. ‘Cause the farmer’s market, it is a cheap expense, right? You can set up a store for $5,000 let’s say. You buy a marquee, buy a table, and you’ve got your little store. So what happened in the mean time, we went within 1 farmer’s market to 8 farmer’s markets, so we had really grown while it was just 1 farmer’s market. Got into 8 farmer’s markets. Was working already to my limit. It was just me, my wife, and another probably 15 to 16 staff members doing farmer’s markets for us. So had a full farmer’s market operation with our friends and everything else. What was the tipping point for you then to say “right, so farmer’s markets … There’s something beyond the farmer’s market, I’ve got another idea.”? I think the tipping point for me was when I started realizing that even having this number of stalls, there wasn’t something that I could sustain forever. I wanted something more meaningful. I wanna create a brand that actually would represent something, and it would be able to … it would mean something to everyone. People see and they go “wow, those guys are actually doing something that it is making a change”. During that time, we’re doing farmer’s markets for about 2 and 1/2 years before we opened our first store. And during that time we managed to pay my family back, we managed to pay our debt back, and we managed to buy a house. So 2 and 1/2 years, so we paid $155,000 back to my family and to whoever money that I owed to which was mainly to credit cards, and we managed to buy a house as well. So life was great, you know? And my daughter was about 2 at that stage. But we also, I was very cautious then. At the same time farmer’s market was great, for how long I could sustain that as a person, as myself. Unload trucks, carrying boxes all day, back then I was only 26. And I was like “okay, so how long we gonna sustain this?”. So where to form there? So you’re at a breaking point from the sounds of it. Yes, definitely. So working farmer’s markets, feeling extremely exhausted, so I said to my wife, I said “where do we buy in bulk foods here?”. She’s like “what do you mean bulk foods?”. And I’m like “like we sell at the farmer’s markets, bulk foods.”. She’s saying, “nowhere”. Like “well there’s nowhere here that you can actually go that you can buy as much as you want?”. I said “’cause I go to your parents house, I see how much food they waste, they throw tons of food out every day, the cabinets are always full. It’s great to have abundance, but, how much food are we wasting?”. And she’s like “oh my gosh, I’ve never really stopped and thought about this”. I said “well that’s right, where do I get this?” Like “babe, this doesn’t exist here. I know that in Brazil it’s common, but this [inaudible 00:30:16]. We’ll lets look into it. [00:30:30] So farmer’s market’s going really well, I’m at my point where I need to make the difference. I need to do something more. We’re like, okay, 7 months, then we just bought a house, I walk in at home and said “babe, we’re gonna open up a bulk foods store”. She’s like “okay.” And I said “it’s gonna be called Naked Food Bulk, and that’s what it is”. She said “okay. Where are we getting the money from?”. I said “we’re selling our house”. Oh my word. You’re kidding. [00:31:00] She said “oh God, no”. And that was right at the time where, that was pretty much when the market shift because I bought my house for peanuts. And then in 6 7 months I could pretty much double up the amount of money I had paid for. She said “no we are no, we are not, we are not”. And we know the majority of the wives the way they ar. They want the homes for their kids. And they want to have a home. They want a roof over their heads and security. [00:31:30] So she didn’t agree with me at all at that stage. So I went out there without her knowing, got a real estate. One day when she wasn’t home brought this real estate in to have a look at the house. So they had a look in the house and said “we can pay”… Back in the time I paid the house $420,000 for a 3 bedroom house. They come back to me and said “listen, we can get you tomorrow if you want 680. I said “680?”. I said “no worries, let me talk to my wife”. She’s like “no no no”. It took me about a month to convince her, but I did. Convincing her. Within the first open house, we sold the house. We sold the house, still in the period where we’re still doing farmer’s markets, don’t have a shop location yet, but we need to find a shop location ’cause now we’ve got the money. So really really exciting. Where were you living at that stage then? If the house is gone? Are you just renting? Yes, so we were just basically renting a 1 bedroom house, close to my in-laws in Sydney. Okay, right. What was the process for selecting the location of your store? The process was basically, we had just finished doing the farmer’s markets at Bondi Beach. So as we’re driving up Oxford street, I saw this brand new open paleo café. And I said “oh my gosh look, this is amazing. It’s a paleo café there is organic supermarkets up the road, let’s stop and have a coffee”. So I got out of my van, I said to my wife “that’s our location”. She said “what are you talk-” I said “look, next door, it’s empty, it’s our location”. And I said “let me have a look” so I walk in there, [inaudible 00:33:19] the door was open. So I open the door, and there is a gentleman inside. I said “is this available?” He said “yeah, yeah, I’m actually the owner of the property”. Exactly. And I said to him I said “well we are looking for a location that’s what we’re thinking to do. What do you think?”. He’s like “well, yes. It sounds good”. So I said well send me some terms over my email and I’ll have a look over. So he sent the term within 1 week, I had basically already paid the deposit and it was … I had a location. Wow. So you signed on the dotted line … Do you believe in fate? What are your thoughts on that? ‘Cause it sounds like … When things are meant to happen, someone’s might like they happen on automatic you know, we’re on automatic pilot, the guy was there. You had a coffee at the paleo café next door was open, he was there for you and it was done. Do you believe in that stuff? Oh 100%. 100%. And I believe whatever you put out there you definitely get back. If you’re putting positive vibes out there, if you’re putting positive vibes out there, if you’re putting hard work into it, it will happen. It happens. We are big believer, if we do the right thing by the people, if we do the right thing by our customers, we don’t have anything to worry about it. I think it always happens to us as well. Brilliant. And I thoroughly believe that too. Hard work, persistence, goals, dreams, all of the above. If it feels right, if you work and you’re smart and you connect and you’re innovative as well, then absolutely these things will work out. [00:35:30] I think always the winning is to be able to learn and just be able to be a better version of yourself as well. That’s what makes the full difference. To be able to have a dream. I think dreams keep people alive. [00:37:00] Definitely. I think [inaudible 00:36:11] I’m a big believer to live with purpose. Everything that I do, I do with purpose. That was something that my dad always taught me when I was a kid. No matter what you do, do your best. And that’s how I always succeed in everything that I’ve since arrived in Australia. It was for me to … I work as a kitchen hand, I work in washing cars, everything you can name and I had worked as a cleaner. And every time I would be a cleaner, I would do the best clean, I could do it. If I’m gonna be washing cars I’ll do the best car wash I could do. I think that was something I always took as my purpose. No matter what you do, you’re already put in debt for doing it, just your best. Be your best. And it’s a metaphor for whatever you do really. No I agree. I completely agree. And I think that change is the way that you feel about any given job as well. Because you know that you’ve done it to the best of your ability, and it almost changes the way that you feel about yourself as well. [00:37:30] You can sleep at night. So the first store, Bondi Junction, so how does that look now compared to the stores today? Are you more than spices and bulk foods, what’s your vision? [00:38:00] No, definitely. The vision has changed a lot since we opened up the first Naked Foods within Oxford Street Bondi Junction. Our brand has grown from 1 store to 11 stores [inaudible 00:37:56] to power through, to be able to open another 40 or 50 stores. The energy still are there, the dreams still are there. The change is still out there as well. We have much more knowledge today on what are we doing. We drive our company basically on top of our mission and vision and values as well. [00:39:30] So we never make a decision without assessing every single point. And I think that’s a lesson that I’ve learned, as basically to … we stick with our dream and stick with our decision. Since we started Naked Foods, we always have a dream to be able to provide the best food the planet has to offer. So we always stay in consideration what we were gonna do with the suppliers. If that’s the best protein, if that’s the best green mixes, and how’s the process, do they believe in what we believe? Do they handle the product the way we would handle? And sometimes we do have people question. And that’s probably [inaudible 00:39:05] your product a little bit more expensive than I could get from the supermarkets or anything like that. But the process we go through to be able to provide the best product we can, it’s a complete different, that it’s passion, it’s love. And that’s what we believe. And that’s what’s making us be the brand that we are today. Just sticking to our values. If that’s our product, the best we can get on the market. And are we gonna pursuing this path? [00:40:00] Yeah, no I love it. I think you’re spot on. And often times as well I think when you are … I mean it’s always easy to go with the cheap option, and sure we can go to the Kohl’s and the Woolie’s and buy the home brands, but when you are fueling your body with the most beautiful deeply nourishing foods, you do feel the difference. Yup. No, that’s interesting. I came across a term on your website as well the other day, and it was pre-cycling. And I hadn’t heard that before. I probably should’ve heard that before, but I hadn’t. Can you just tell us what that means? [00:41:00] Well pre-cycling is the process of avoiding wastage of products that can be reusable, right? So the pre-cycling, it’s basically you bring your own jars to our shops so they can be reused. So the idea behind that is to bring your own bags with you, chuck all the plastic bags which they’re gonna go back to the fields. It’s basically to bring your own jars to refill it, if that’s a shampoo jar, if that’s a conditioner box, or if that’s a [inaudible 00:40:48] no matter what it is. It’s just to pre-cycle that. So basically you keep constantly recycling those jars and bags and everything else, avoiding to go back into the planet as well and stay there for years and years and years. [00:41:30] That’s excellent, that’s really good. We actually had a customer a couple of weeks ago who wanted to send us a glass jar to fill for her because she didn’t want to continue to use the bags. And the logistics for us just didn’t work. I actually sent her your way. I said “look, go to Naked Foods, Bondi Junction, because they’ll be able to help you right there”. So often times you don’t realize the impact that plastic and non-recyclable, and just these every day items that we just discard, coffee cups, water bottles, whatever has on the planet. I went to spend a little bit of time in Fiji over Christmas, and I just love Fiji, it almost, for me, it feels so pure and so beautiful. It is beautiful, it love there as well. [00:42:30] Crystal clear waters, and we stayed on a couple of little islands, and from the outside you think “boy this is so beautiful, it’s so pristine” and after exploring a couple of these islands on foot and going into the middle of the island, having a look around, realized that there is mountains and mountains and mountains of plastic waste that these guys living on the island just have to burn. That’s the consequence of what we’re doing every day with our dollars, with purchasing water in plastic bottles. We drink our coffee in cardboard cups, plastic cups, it goes somewhere. We just don’t get to see it. So pre-cycle is brilliant. Obviously we need to be doing a whole lot more of that. [00:43:00] Oh no, definitely. But you know, I’m very grateful to see the way the market’s getting driven at the moment and how the way we’re heading. I think there’s a lot of work to be done out there, but society is getting more aware of the importance of shopping bulk, the importance of avoiding plastic and carry bags and that’s definitely a great change. That I’m sure will keep on happening. [00:43:30] Brilliant. Brilliant. So I’m gonna talk a little bit just about yourself and how you are able to handle all these monumental tasks, but first up, just quickly, what food trends are you experiencing throughout your stores right now? [00:44:00] We have for the past pretty much a year also and all, and vegan has been a pretty popular kind of a trend. Where people are getting more into a plant based diet, or they way more interest in how they can use the product to be able to enhance they vegan diets. And that’s a big trend across the stores because that’s the vegan paradise right? You get your grains, you get your nuts, you get your dry fruits. And that has been one pretty big trend I would say. [00:45:00] That’s interesting. I had a conversation with a nutritionist yesterday and she was telling me that she’s getting a lot more people that are actually turning over to the vegetarian way of eating. And while that may be a good thing I guess on one side of the argument for plant based versus animal based diets, if you’re not able to adopt a fully organic transition I think, then the reality is that you’re probably upping your consumption of pesticides, or herbicides, and all of the other stuff so it’s really, I think it’s very important to consider the quality of the food you eat when you are making that shift towards vegetarian veganism or plant based as well. Which I know you’re huge for organic and the best ingredients that you can get. [00:46:00] Definitely, I think I’m with you on that part to be honest. I think that being plant based or being vegan or vegetarian doesn’t mean health. A lot of people get confused with that and they go “I’m turning vegan”. And that’s great. I think we all have different bodies and our body respond a different way. And every single diet, that doesn’t mean that some diet’s gonna be suitable for everyone. And that’s the most important part is definitely to try and to consume as much as you can of organic product, and the second part it is to listen to yourself. You gotta listen to your body and really understand what your body’s craving. ‘Cause sometimes we don’t listen to ourself we just wanna stick to that. And our bodies need to make the change. Sometimes just not the way it is. I’m a big believer that I really listen to my body, I’m very in-tuned with my body, and I only do what my body actually needs. I’ve been enjoying good food for the past 10 15 years of my life and I eat very clean. I’m very true to my body and that’s very important. [00:46:30] That’s good advice. And you’re talking about being in tune with your body. So how do you handle stress, because it sounds like over the past 15 years you have put yourself under huge stress, financial stress, physical stress, getting up early mornings and heavy lifting and loading at the farmer’s markets and all that. All that comes with that. What do you do to wind down, or does it not affect you? [00:47:00] No, it does definitely effect me. And as you probably know, having a family and kids and everything else, so it’s really important to try to manage it down and all, because with kids in particular they’re not part of your every day so they don’t deserve you do be stressed at them or just to lose them when it’s actually not their problem really and all, like your other times. So I have my 5 tasks that I gotta do every day, then I’ll make sure that if I do those 5 things. [inaudible 00:47:14] for any problem that may occur during the day or anything like that, but I always make sure that I eat really well. [00:48:00] That’s number 1. Number 2 I make sure that I meditate everyday, so twice a day 20 minutes in the morning 20 minutes in the afternoon so that make sure it keep me aligned with my decisions as well. Because sometimes we don’t realize how busy our brain is. What’s happening. I’m thinking when you do the meditation after really sets you down and grounds you back to your values. Number 3 I train every day. And that’s 7 days a week. So I train every day. ‘Cause I know that if I train every day, I’ll have no problems dealing with my kids. Yeah, exactly, makes you strong and fast. [00:48:30] I mean, strong and fast [inaudible 00:48:13] Number 4. It is I need to, as soon as I’ve done by exercise and meditated, I need to make sure that I solve the critical tasks first of my day. So those tasks and holding me back to think clearly the rest of the day. Yeah no, I love it. What’s the last one? [00:49:00] And the last one it is to make sure that I have breakfast with my kids every day as well. So I make sure that I have breakfast with them. And that’s important for my wife and that’s important for my kids as well. I think makes sure that I am giving my time back to them is also important as well. I make sure to have breakfast together, get them ready to school with my wife, and then after that I can just do whatever I need to do. Get into it. Brilliant, fantastic. The top 5. Well look I think that’s … Our listeners will love that. I love that as well because I can see that a lot of that applies to the way that I work and I shape every part of my day. ‘Cause we’ve got kids, we’ve got businesses, we’re busy and we’re stressed at the same time. [00:49:30] Yeah I think that’s it because I think we are living in an environment now where we’re getting bombarded 24 hours a day with this social media information where people have got perfect lives and beautiful lives and I mean I think where we’re missing is, what’s actually real life? What do they do? Do they have kids, they don’t have kids how this guy looks like he’s a millionaire and he got three kids and he live a fantastic life, but that’s not true. And that’s what generating, putting more stress into this people, they’re trying to live this lives. Exactly right. Social media and Facebook Instagram all of the above, they paint pretty pictures but often it’s not as accurate as we would be led to believe I think. Definitely, definitely. I’m with you on that one. [00:50:30] I’m aware of the time there, Caique, and so I’ve got a couple of questions before we wrap up today. And the first one might be a little bit tricky, but I’m gonna ask it anyway. So if you could distill all of your learning, so everything that you’ve learned on your journey, into a single take home piece of advice for our listeners, that you think would perhaps have the biggest or the most profound impact on the way that they live their life. What might that be? [00:51:00] I’ve got a couple of them, one is just to … I’ve got actually a few of them when I think about it. One of them just set goals. Have goals for the day, have goals for the year, have goals for your life. That’s definitely number one. So number two, that’s a saying that I carry with me. See from the first day that I arrived in Australia and still carry with me today that nothing is impossible. And nothing is impossible. I always carried that with me. If you have a dream, if you have a goal, just go for it because nothing, nothing is impossible. Excellent. Brilliant. No that’s true. Very very true. I mean if you have nothing to aim for, if you have no goals, then you’re not gonna achieve the goals, for one. Yeah, brilliant. So what’s next for Caique? What’s next for Naked Food? [00:52:00] Next for Naked Foods, we’re just going through a massive restructuring, and make sure we are really sticking again what I said to the mission and vision and values to the company. And just building a great team. I’m really focusing on my team at the moment. Make sure that everyone is striving as much as they can on what they wish to, and building a company. We’re headed in a great path like how you mentioned before the moment, and now I think now I’ve got time to build my dream which is build a great company which really gonna give back to the people and really gonna be able to enjoy. I just wanna be able to build a company and enjoy at the same time now. Brilliant. That’s excellent. Well look you have come so far and the company’s fantastic. If we wanted to find out more about Naked Foods, where could I point our listeners? Definitely we’ve got stores across Australia at the moment, so basically New South Whales, Queensland, and [inaudible 00:52:33] they are across the website at the moment. We are at the moment we are experiencing some problems with our website so should be up back and running up in the next couple of weeks. But apart from that, across social medias as well, and inquiries we can be reached on infonakedfoods.com.au. Brilliant, fantastic. Well look I will share those links in the show and thank you so much Caique for your time and your story. It was a pleasure chatting with you and, you know, any time. Brilliant. Well I hope to catch up with you soon. Thanks again, Caique. No, thank you. Thanks a lot.